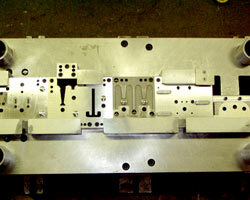 Advanced Auto Trends, Inc. manufactures a wide variety of plastic molded parts. These parts range from automotive products with tight tolerances to medical carts and firearm products. No matter what the application or product, Advanced Auto Trends, Inc. has the expertise and solutions to make your product with exceptional quality and competitive pricing. Advanced Auto Trends, Inc. takes pride in our complete in-house tool room capabilities. Our dedicated staff of professionals – including fully trained technicians and engineers with years of experience in tooling and fixture design and build – repeatedly demonstrates the ability to build complex molds or dies, engineering changes, and perform any necessary maintenance, all with quick turn around. Our in-house tool room can build and maintain complex prototype and production injection molds as well as stamping dies. Our CNC machining envelope ranges up to 72” x 35” x 30” and includes vertical machining centers as well as 4 axis wire EDM capabilities. 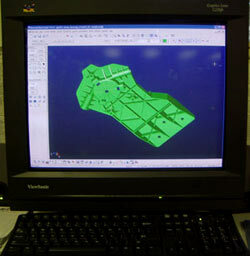 Our on-site CMM enables us to consistently validate components up to 40” x 28” x 18”. Our engineering department offers superior part design, material selection, functional requirements, engineered thermoplastics, mold design, automated assembly and error proofing operations and processing. Our expertise in the design of plastic and progressive die parts allows us to support our customers in optimizing their designs. Utilizing industry standard software design tools, we start with your rough design concept and create a solid design to maximize manufacturability while reducing final costs. Copyright 2016 Advanced Auto Trends, Inc.